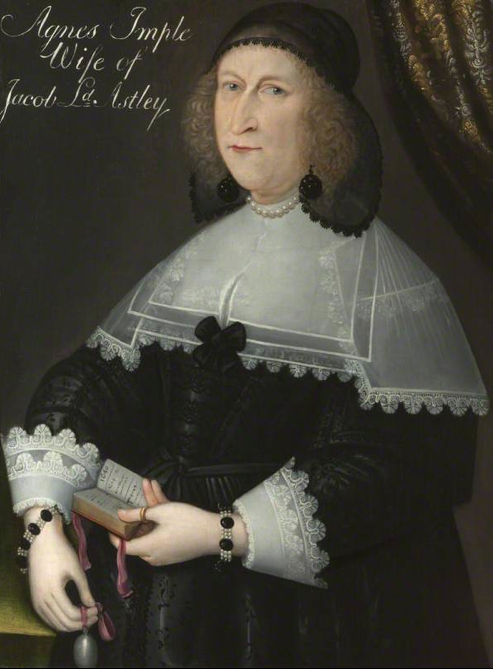 Painted, it is thought by Gilbert Jackson, this portrait came up for auction at Sotherbys and presumably is in private hands. 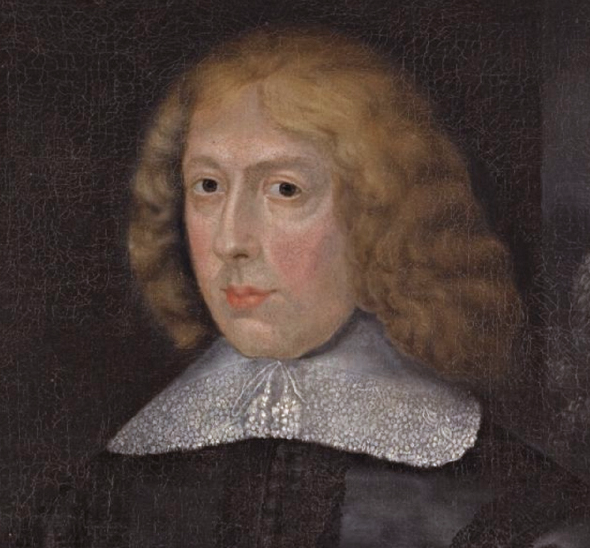 William was Marquis of Hertford and later the second Duke of Somerset. 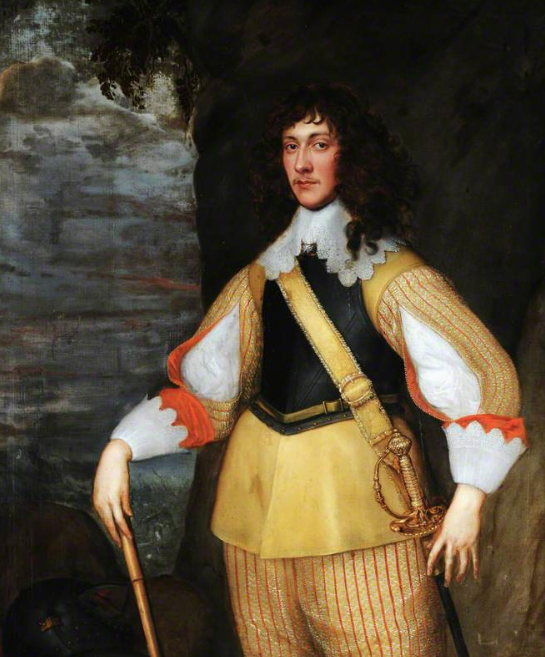 He fought in the West for the royalist cause, at Lansdown and with Rupert in Bristol , later being recalled to Oxford to hold the city in the King’s absence while he was on campaign. 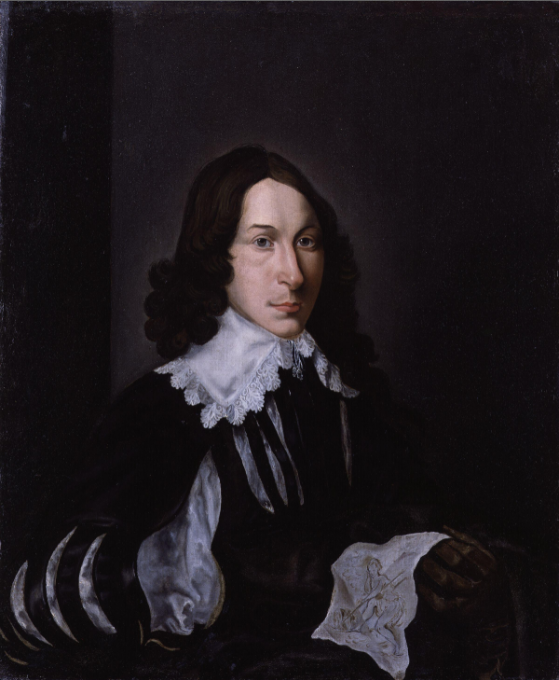 He was also foremost in trying to reach agreement between King and Parliament through his brother-in-law the Earl of Essex. 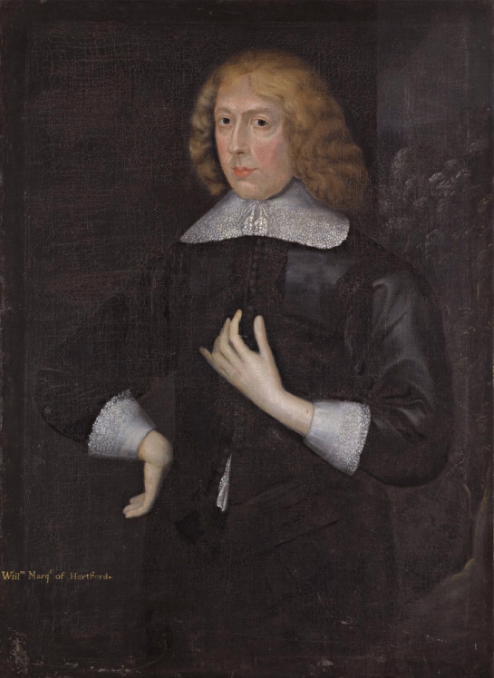 William is pictured in a plain black short tabbed doublet, laced falling band and cuffs. 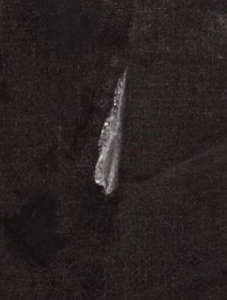 The doublet is cheekily open at the bottom to show a small piece of lace poking out from his shirt. 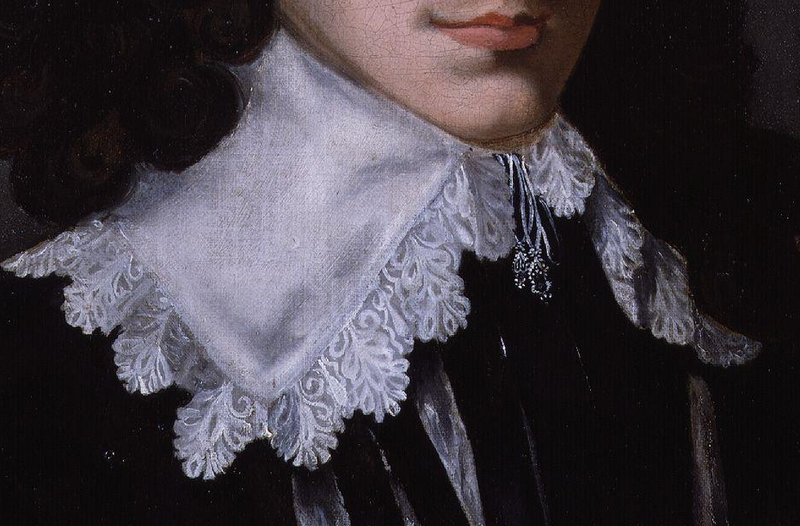 Here is a detail showing the lace on his band. 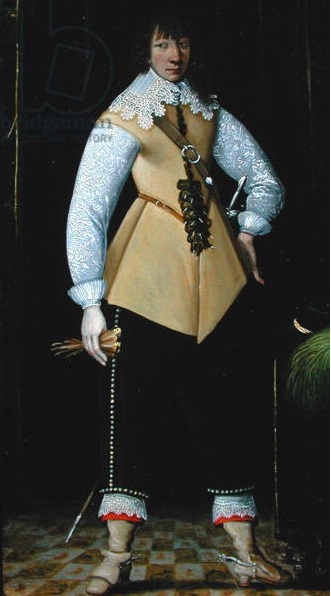 Notice also the braided decoration on the seams of his doublet. 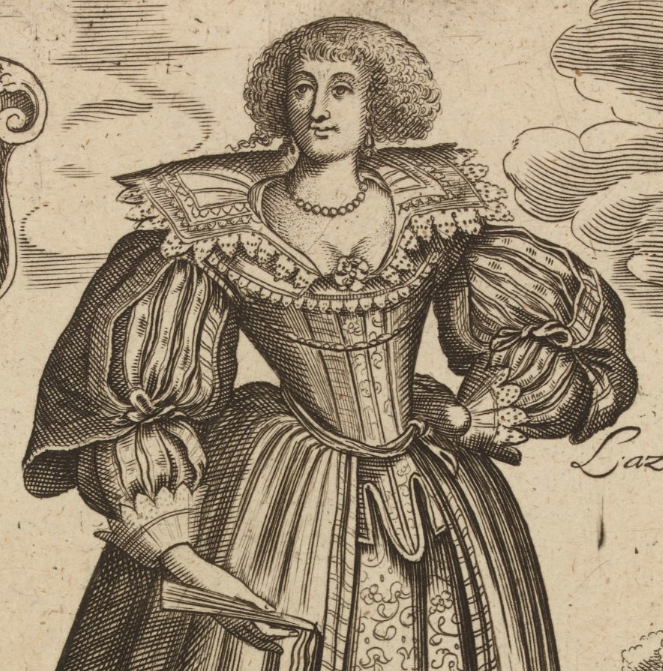 This close up shows the decoration of her bodice and the slashing of the sleeves. 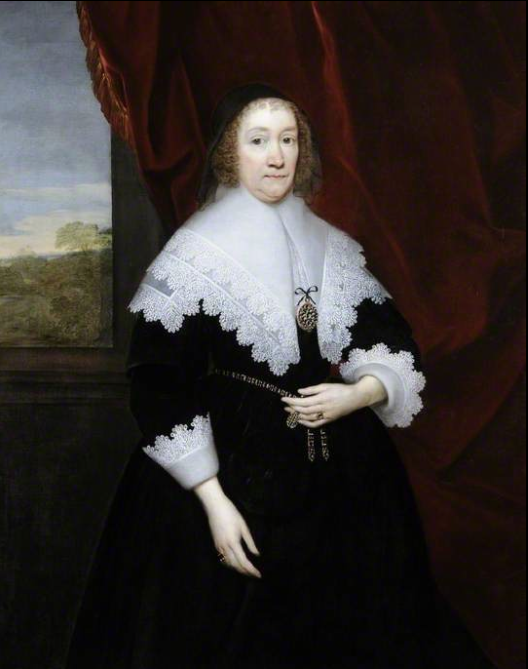 Agnes was the wife of Sir Jacob Astley the royalist commander. 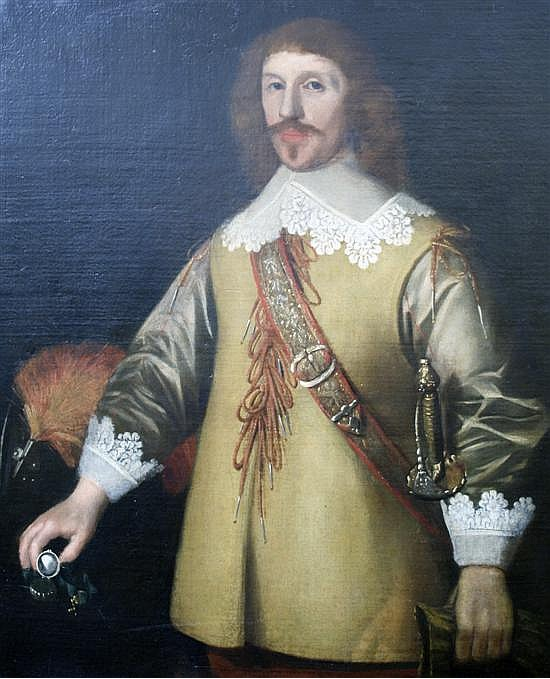 They had met whilst he was on the continent serving as part of the Anglo-Dutch brigade around 1619 and stayed together until Jacob died in 1652. 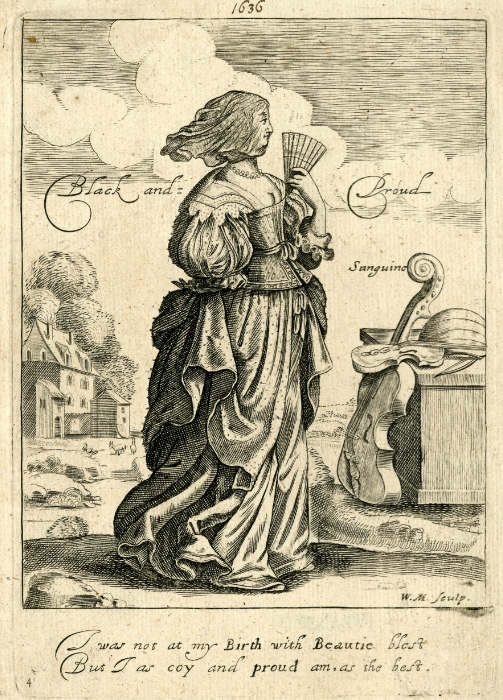 Interestingly the BBC paintings website gives the date of her death as 1647, whilst Sir Jacob’s biography states that she outlived him. 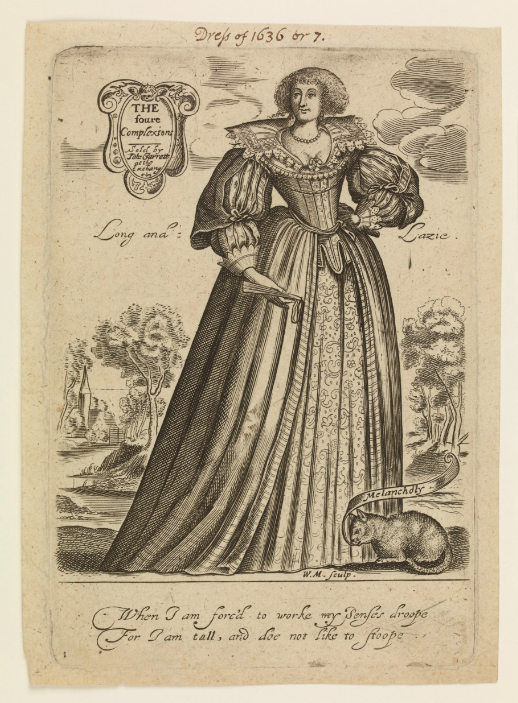 Note the anglicised spelling of her maiden name on the portrait. 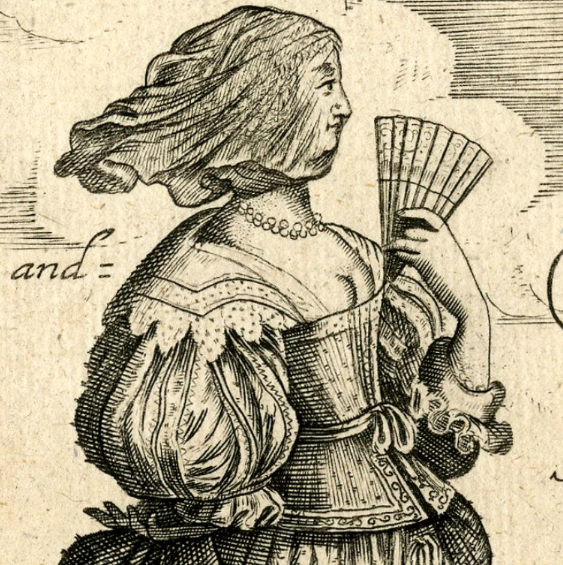 The picture shows Agnes in her mourning clothes, a black coif on her head, black waistcoat, petticoat and various black accessories; earrings, bracelet and black ribbons on her kerchief. The starkness of the black really brings out the white of her lace edged cuffs and many-layered neck linen, also showing every crease and dart in the construction.. The original hangs in the National Trust property Seaton Delaval in Northumberland. And here is a close up detail of the lace on his band and the strings attached.